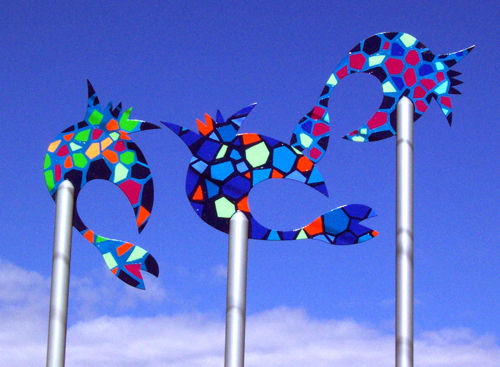 Tumbling Fish serves as an entry statement for Victoria Point Shopping Centre. 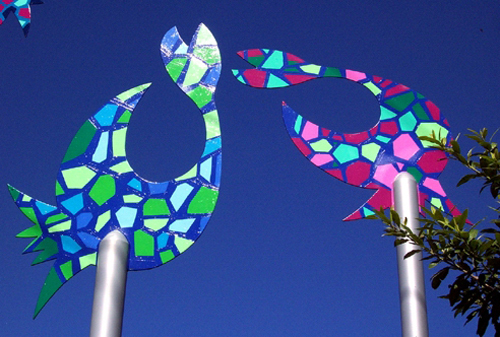 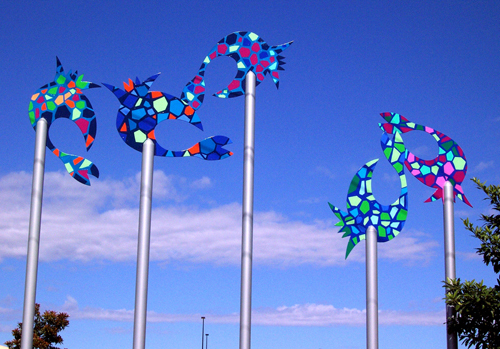 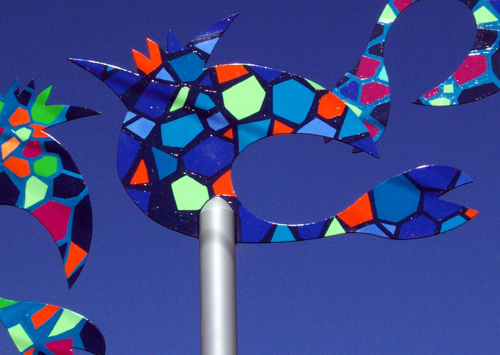 The fish are hybrid designs of Eucalyptus leaves and Marine Life of Moreton Bay. 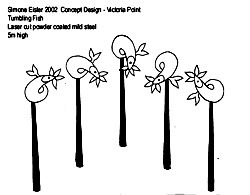 The repeat elements were rotated at different points to create an overall tumbling effect.